Want to play some videos backwards to surprise your relatives and friends? All you need is a special app that enables you to take advantage of this exciting effect. 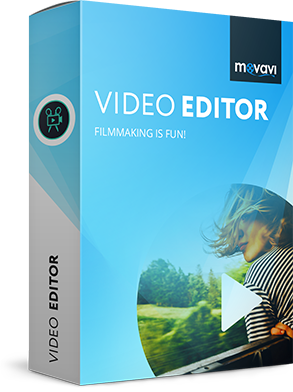 One of the better options is Movavi Video Editor – a powerful piece of software for editing multimedia files and much more. 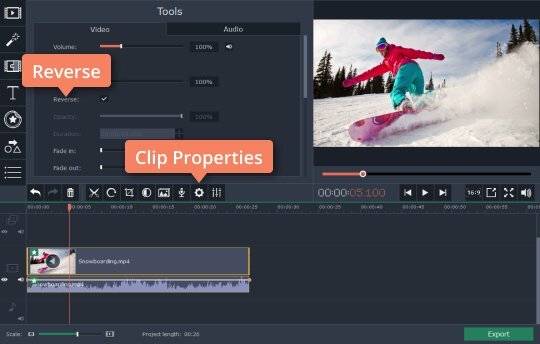 Download it now and you'll see how easy and fun video editing can be! 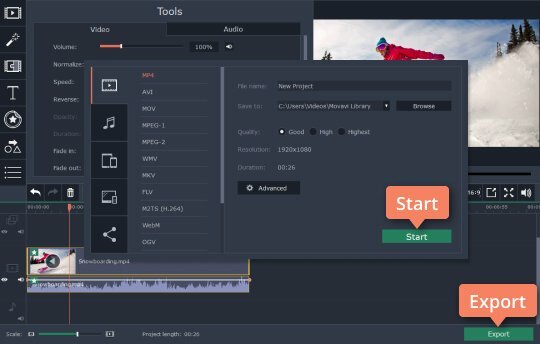 Learn how to reverse a video with our simple instructions! Double-click the downloaded file to run it and install the app following the on-screen instructions. 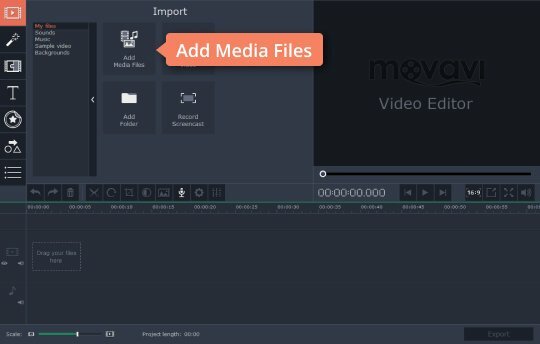 Click the Add Media Files button and open the movie you want to play in reverse. It will appear on the Timeline in the lower part of the program window. Click the file on the Timeline and then the cogwheel icon (Clip Properties). In the Tools tab that opens, select the Reverse check box. You can preview the result in the built-in player on the right. 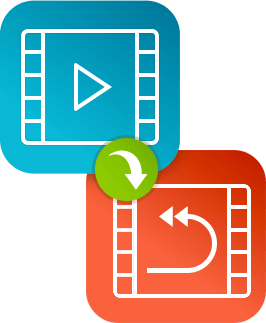 To save the reversed video, click Export and choose your preferred video format from the tabs in the export window: MP4, WMV, MKV, 3GP, etc. Enter the folder path in the Save to field and click Start. Now you know how to make videos go backwards. Go ahead and start changing the course of time!